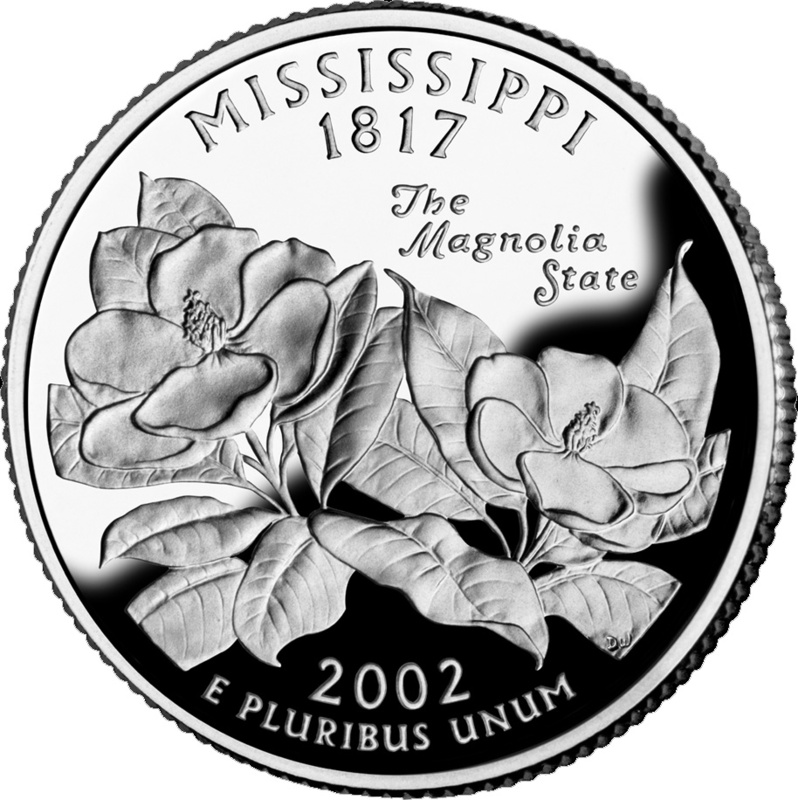 The U.S. Mint's bicentennial commemorative quarter for Mississippi features magnolia blossoms (the state flower) and Mississippi's nickname: The Magnolia State. 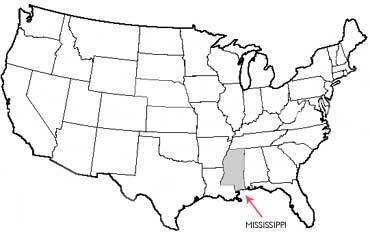 Mississippi became the 20th state in 1817. Public domain image on Wikipedia. The official nickname for Mississippi is The Magnolia State. 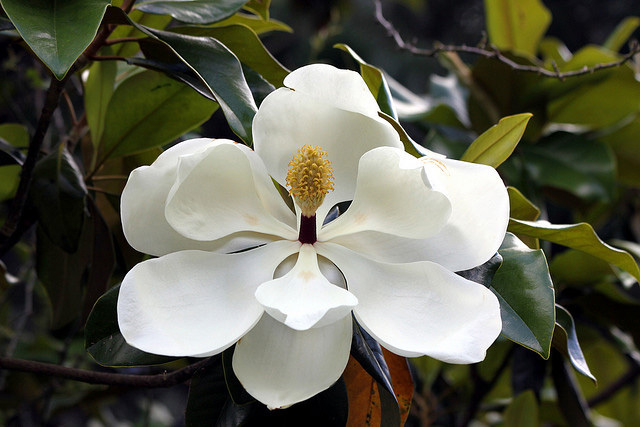 The magnolia is also the state flower and the state tree of Mississippi. Both the state nickname and flower are featured on the Mississippi quarter. Magnolia blossom (Magnolia grandiflora); photo by Humberto Terenziani on Flickr (noncommercial use permitted with attribution / share alike). The state of Mississippi USA (public domain image).